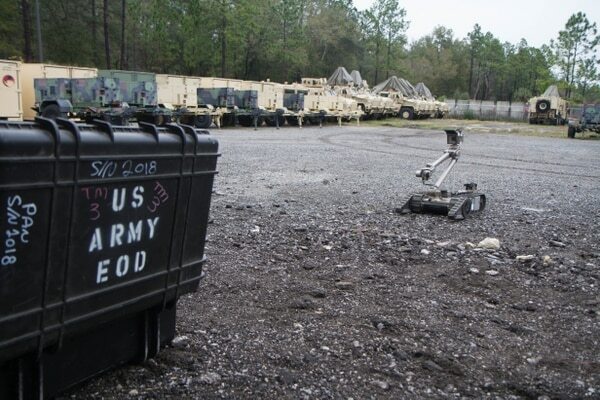 WASHINGTON — Endeavor Robotics has provided quick, off-the-shelf solutions to the U.S. Army for many years, but the Boston-based company is now gaining significant traction at a time when the service is looking to streamline its petting zoo of ground robots. By necessity, during the wars in Iraq and Afghanistan, the Army scrambled to buy unmanned ground vehicles that could provide a level of standoff between soldiers and the dangers faced on the battlefield. This resulted in the procurement of roughly 7,000 UGVs from Talons to PackBots to Dragon Runners. Endeavor, which launched as a private company in 2016 but previously existed as iRobot’s defense and security business, supplied PackBots to the service as well as a few other small UGVs. 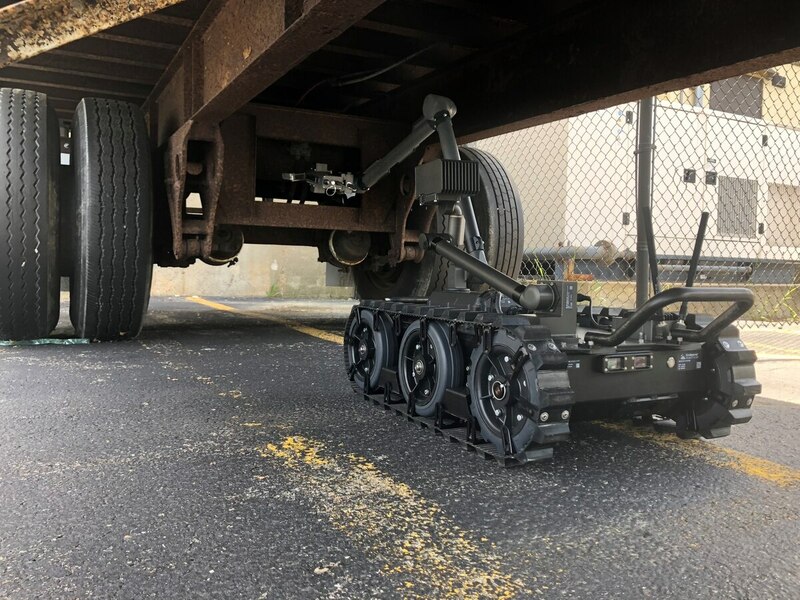 It gained more traction in October 2017, when the company secured a to provide the service a platform it calls Centaur: a medium-sized robot (less than 164 pounds) to provide standoff capability to identify and neutralize explosive hazards. That served as the groundwork for what the company hopes will be major expansion in the Army, not only delivering an array of systems but supporting a strategy of interoperability. Now Endeavor is setting its sights on two other efforts underway that would transition the Army from its hodgepodge procurement strategy used during the wars in the Middle East to a common chassis for a small, medium and large UGV, all managed by one common controller. Each system is meant to have a high level of interoperability and plug-and-play capability as missions expand for ground robots and technology improves. The Army already whittled down the competition in April to provide a Common Robot System-Individual, or CRS-I — a man-packable robot that is less than 25 pounds and highly mobile, equipped with advanced sensors and mission modules for dismounted forces. The design will allow operators to quickly reconfigure for various missions in the field. Endeavor will compete against QinetiQ for a contract expected to be worth up to $400 million to build more than 3,000 robots. The contract award is anticipated in the first quarter of calendar year 2019. Endeavor’s offering has been kept under wraps, literally and figuratively, with its CRS-I platform covered in a shroud inside of a case at the Association of the U.S. Army’s annual conference. The Army’s other major program — the Common Robotic System-Heavy or CRS-H — is a larger platform expected to weigh 500 to 1,000 pounds. The system will be expected to perform highly dexterous manipulation procedures to disarm vehicle-borne improvised explosive devices from a safe distance. Endeavor survived a first downselect in the CRS-H competition with plans to use its Kobra platform as the base, Tom Frost, Endeavor’s president, told Defense News in a recent interview. Harris Corp. is also looking to sell the T7 to the U.S. Army. There are now three competitors in the mix as of this summer. The program will have a series of demonstrations that will assist the Army in choosing a winner. The first demonstration is underway at Fort Leonard Wood, Missouri, and the second is expected to take place in the first quarter of 2019. Beyond the Army’s current programs, Endeavor has been working to refine its technology through programs like the Defense Advanced Research Projects Agency’s effort to build a system-of-systems solution that can operate in subterranean environments. It’s the only company among a list of participants in academia to secure a $1.5 million contract to participate in the DARPA challenge. The company’s solution consists of the Kobra robot that will enter subterranean environments carrying radio repeaters — based on the company’s small, throwable FirstLook robots — and drop them off along the way to continue connectivity as it travels deeper underground, according to Frost. The system will also carry a four-legged robot supplied from Ghost Robotics. The robot would deploy from Kobra to explore more difficult and rugged terrain, and a quadcopter will investigate vertical shafts and other hard to reach places, Frost described. “All robots will be linked by the same radio technology and all the data they gather will be assembled into one picture,” Frost said. The final winner of the challenge will win $2 million in 2021. The company has been working on capability for its robots to self-build maps of an area, travel autonomously, and report or tag noteworthy information along the way. All of Endeavor’s systems have built-in algorithms, for instance, to detect a human or an explosive. “They don’t require an operator to have their hand on the joystick the entire time,” Frost said. “Our systems have eliminated the joystick altogether” in favor of a touchpad with self-explanatory icons. Looking deeper into the future, Endeavor is positioning itself to participate in the Army’s newest, and potentially largest ever, ground robotics modernization effort, the Robotic Combat Vehicle program, which is just beginning to take shape under Army Futures Command.